THE new Zifa board have plunged themselves into a serious constitutional crisis after a series of violations of their constitution in the suspension of vice-president Gift Banda and the way they parcelled out portfolios to executive committee members. As it stands, our Harare Bureau can exclusively reveal that: - Banda's suspension on Wednesday is null and void and, just like the ban imposed on former Namibian Football Association boss Frans Mbidi by his fellow board members last year, is certain to be overturned by Fifa. -The crisis in Namibia, after Fifa rejected to recognise Mbidi's suspension by his colleagues, forced the world football governing body to appoint a normalisation committee this month to run the game there pending the holding of elections. - While the Zifa executive committee have the right to suspend any of their members, the way the current board went about it at their meeting in Harare on Wednesday was in serious violation of their constitution which, effectively, makes their decision null and void. - Even the first board meeting, which the new Zifa executive held in Harare just five days after they were elected, where they parceled out portfolios to each other, was also in violation of the association's constitution and all the decisions reached there are null and void. - Meetings of the Zifa executive committee, which should be held, at least, four times a year, are enshrined in the association's constitution and follow a laid-down procedure where items that have to be discussed at the indaba must be contained in an agenda sent to the general secretariat, at least, seven days before any meeting is held. - The agenda for any Zifa executive meeting must be sent to the board members, at least, 14 days before any meeting is held, according to the constitution, and any indaba that doesn't satisfy this key provision cannot come up with decisions that are binding. -That the new Zifa executive committee met, just five days after the elections, and mandated each member to head key portfolios like referees, marketing, development, finance, national teams and related stuff, was a flagrant breach of their constitution and those appointments are null and void. - That those board members have effectively been discharging their duties as heads of their respective portfolios is, in itself, not any different from issues related to the announcement of proposed changes to the national teams' technical staff, which Banda did, because the authority for such execution of duties is being drawn from powers attained via a breach of the Zifa constitution. - That the same board members, using powers handed to them by virtue of the portfolios they now head – whose powers were given out at a board meeting held unconstitutionally, means that all the committees which Zifa came up with on Wednesday are also null and void. - If the Zifa executive felt their vice-president had to be suspended, at least one board member should have proposed that item on the agenda of Wednesday's meeting to the general secretariat and, crucially, it should have been sent to all the board members, at least, 14 days before the meeting. - Given the changes to the national teams' coaching staff were only announced last week on January 8, there couldn't have been enough time for a proposal, for the suspension of either the Zifa vice-president or any board member, to be included on the agenda for Thursday's meeting in line with satisfying the provisions of their constitution. - Zifa president Felton Kamambo, who made a bold pronouncement he would retain the entire Warriors coaching staff after meeting head coach Sunday Chidzambwa on December 28 last year, should have recused himself from discussing and voting, in the event the item related to the controversial changes was duly put on the agenda, because he had become an interested party. 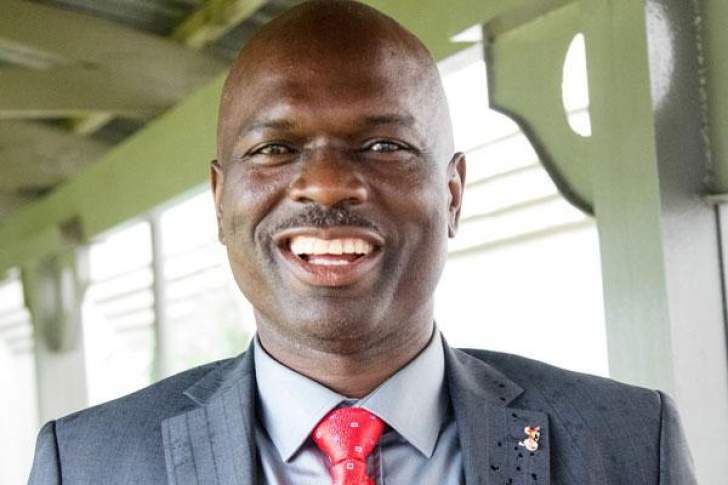 "Any member of the executive committee must withdraw from the debate and taking a decision if there is any risk, or possibility, of a conflict of interest,'' reads Article 35(3) of the Zifa constitution which deals with decisions of the executive committee. Article 33 of the Zifa constitution deals specifically with how meetings by the executive committee should be conducted for the decisions from such indabas to be binding. "The (Zifa) president shall cause the agenda to be prepared,'' Article 33(3) says. "Each member of the executive committee is entitled to propose items for inclusion on the agenda. Clearly, all these provisions were violated by the Zifa leadership when it came to their meeting on Wednesday nullifying all the decisions they took. Article 36 deals with the issue of dismissal and says, "the executive committee may place the dismissal of a person or body on the agenda for the Congress, the executive committee may also dismiss a person or body provisionally, ANY EXECUTIVE COMMITTEE MEMBER SHALL SUBMIT A PROPOSAL TO PLACE SUCH A MOTION FOR DISMISSAL ON THE AGENDA OF THE EXECUTIVE COMMITTEE.'' What this means is that the agenda cannot be twisted, during the course of an executive committee member, as happened on Wednesday, to then include the dismissal or suspension of a member once that item had not been included on the agenda. The the members of the executive must also be given, at least, 14 days to view it before the meeting. The agenda for the meeting on Wednesday only talked about a review of the appointments that had been made to the Warriors and the Young Warriors and, specifically, didn't include an item for the suspension of any member of the executive as required by the constitution. For the Zifa executive to ask their vice-president to excuse himself, proceed to debate what they considered were the transgressions he had made, introduce a vote for his suspension and then call him to announce the verdict, as happened on Wednesday, was a mockery of the constitution. Alternatively, others could also argue that when Kamambo met Chidzambwa in December, and gave him assurances his entire technical stuff would not be changed, he overstepped his mandate because, just like his vice-president, he doesn't make board decisions on his own. "I would like to assure coach Sunday Chidzambwa, and the rest of the technical team, that I will retain them in their current positions. Their positions are safe,'' Kamambo said after his December meeting with Chidzambwa. By providing such a statement to the media, after the meeting, it can also alternatively be argued that Kamambo could even have said it was within his authority not to retain Chidzambwa and his backroom staff and, if that was the case, where was he drawing such authority and how different is it to what his deputy has now been suspended for? Especially, given the background that at the time Banda met the national team coaches, he was the acting Zifa president, as Kamambo was away in Senegal for the Caf awards, and his meeting was in no way different to the one his boss had held with Chidzambwa a week earlier. The Zifa constitution gives the Zifa president exclusive powers in the appointment, and dismissal, of the chief executive and not the appointment, or dismissal, of the national team coaches. Article 34 (k) says the Zifa executive committee "shall appoint the coaches for the representative teams and other technical staff,'' but doesn't specifically say how many board members can make such a decision and, crucially, doesn't provide a framework of the sanctions that should be applied in the event of transgressions in this area.